Published: July 21, 2014 1:30 pm Updated: July 21, 2014 3:29 p.m.
Twelve siblings ranging from age 3 to 21 recently auditioned for "America's Got Talent" with their own rendition of "My Favorite Things" from "The Sound of Music." The performance group members, calling themselves the Willis Clan, included a cello, a guitar, an accordion and a little girl in a white dress with a blue, satin sash. "This exactly what 'America's Got Talent' loves," said Howard Stern, a judge on the show. "You're a family, I'm thinking like the Osmonds, except so much more talented." 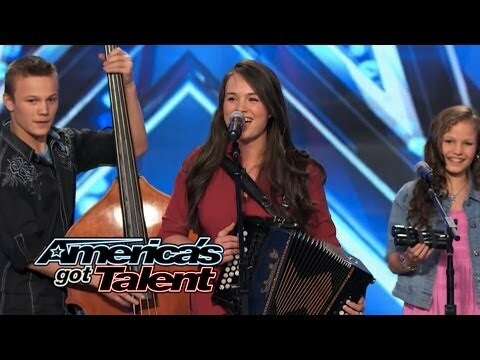 The Willis Clan will go on to compete on "America's Got Talent" season nine, and they were featured on the July 15 episode titled "the Best of Season 9 Auditions." The video was posted on YouTube June 3 and has more than 3 million views.